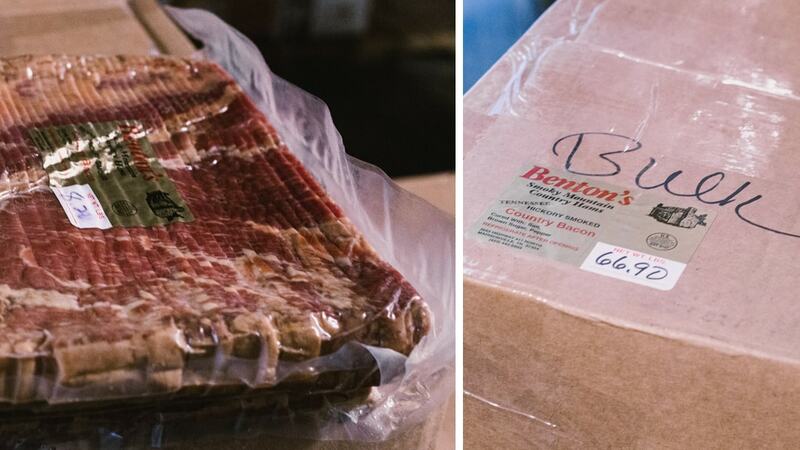 Since 1972, A&B Distributors has been delivering provisions to restaurants and stores to keep East Tennessee and beyond fed. We are thrilled to have A&B as a sponsor on KnoxFoodie, our first in fact. So we wanted to give them their dues and profile this company so many people benefit from, but few know about. The first thing you should know is that if you would like anything A&B carries, as a non-industry person, you can have it. Have a look at their website and if there’s something that catches your eye, or a specialty food item not on the site that you have been looking for, give them a call or email and they can probably find it. Long before A&B opened it’s doors distributing food, the Greek immigrant family was steeped in the food service business. 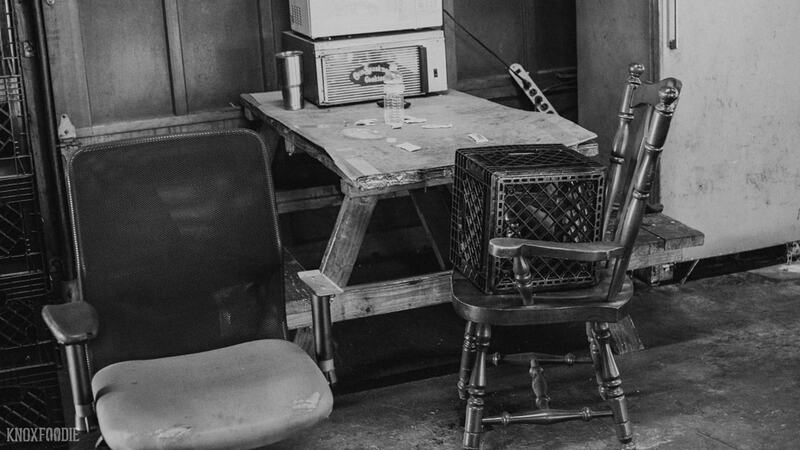 From the 1940s to the 1960s, George and Christine Pavlis operated “The Bijou” restaurant in downtown Knoxville. This was followed by number of restaurants and a package store. The business grew into the gourmet food distributorship that it is today. 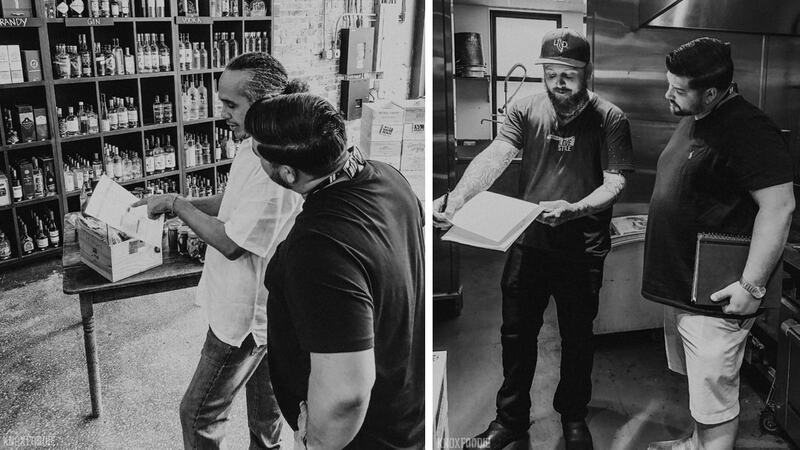 Managing owner Blake Pavlis took the time to show us around and talk about the family business and the chefs he works with. It was in the 1990s that the local food scene began to take shape and A&B saw the opportunity to provide local chefs with not only national brands, but also locally produced “slow food” products. 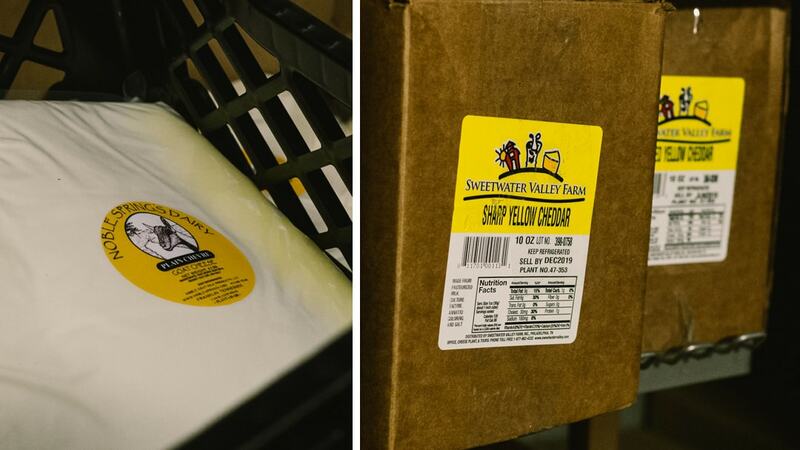 A&B carries such brands Cruze Farm Dairy, Benton’s Ham and Bacon, Sweetwater Valley Farm Cheese, Blackberry Farm condiments and cheese, Century Harvest Farm salami, and so many more. Along with local food, A&B has artisan food products from Sequatchie Cove Cheese, Noble Springs Dairy, Muddy Pond Sorghum, and countless others. Blake has been involved with the business since he was a child, now runs day to day operations from their Randolph Street location just outside the Old City in Knoxville. 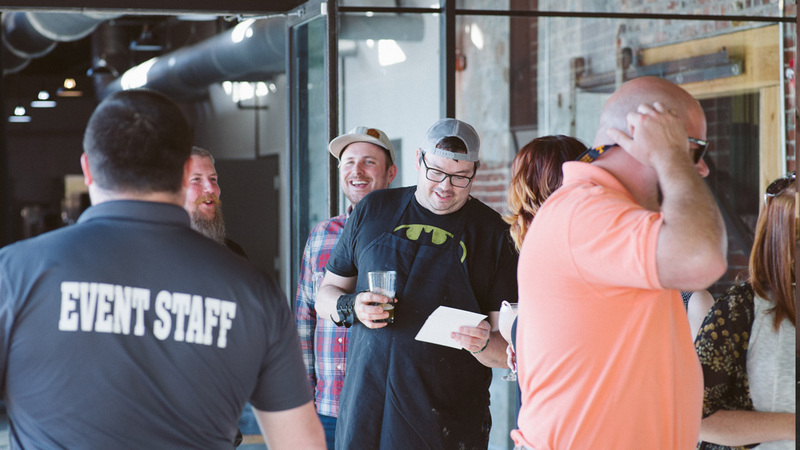 His big personality and love for the city are two key factors that have lead to recent growth and his vision for future dining and entertainment opportunities is endless. A&B is housed in a large warehouse space that hasn’t changed much since the 70s. Vintage office equipment, remnants of vintage advertising, and chairs occupied by the founders conceal a well-ran, robust modern business that moves an incredible amount of supplies to restaurants. 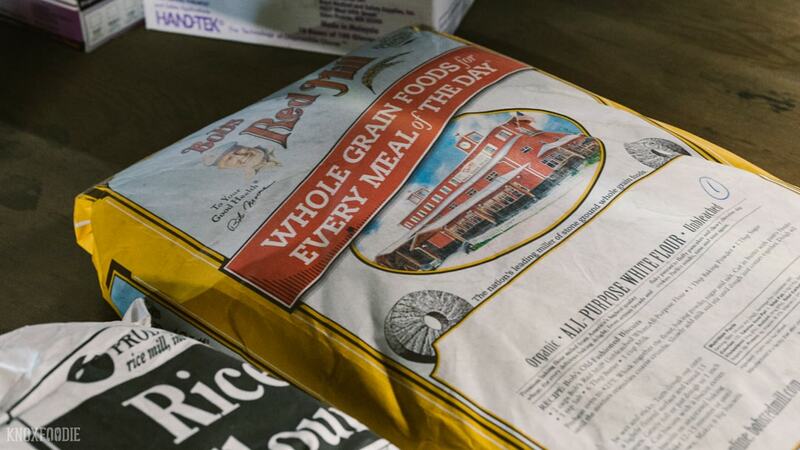 About ⅔ of the building is reserved for dry goods, the remainder is coolers and freezers full of everything from Lonesome Dove’s famous Elk to Sequatchie Cove Cheese, from exquisite chocolates to the area’s only Haagen-Daz distribution. Giant globes of cheese that Chef Bolus uses at 404 Kitchen to whole hams from Italy. 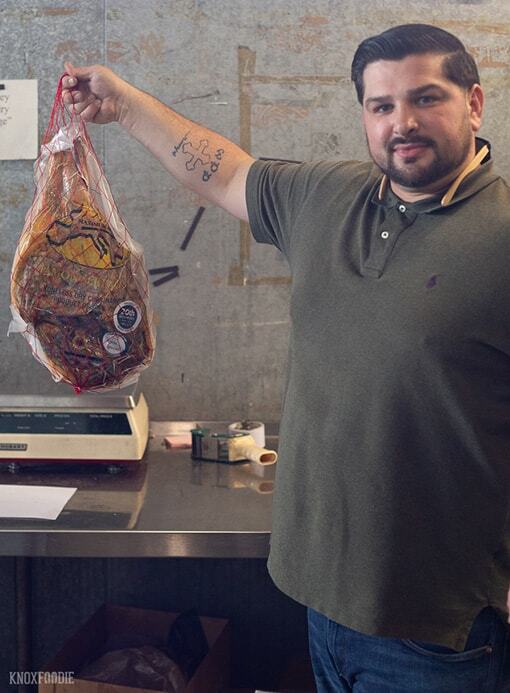 While open Monday-Friday, Blake tells us, it’s not unusual to get a call from a local chef on a weekend or late at night before a big dinner and he will need to come in and take a jar or package to them. It’s that kind of personal service that chefs have come to depend on. “It’s really a 24-7-365 job. I was even in here on Christmas Day last year when Jeffrey (Dealejandro of OliBea), needed an ingredient for a catering. But I’m happy to do it because these amazing chefs are who keeps us going,” Pavlis tells us. 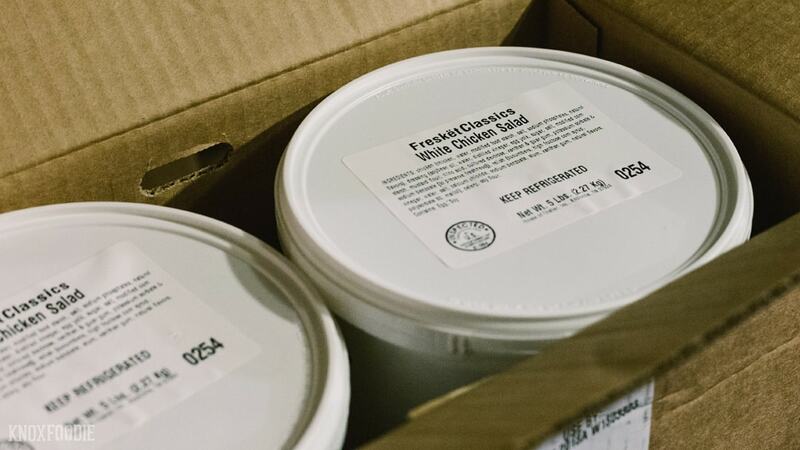 Unlike many distribution companies, A&B is able to stock and deliver quantities that work for chefs. A chef may not need a whole case of special finishing olive oil and A&B will happily break the case up and sell a bottle or two, hanging on to the rest for when they need it. 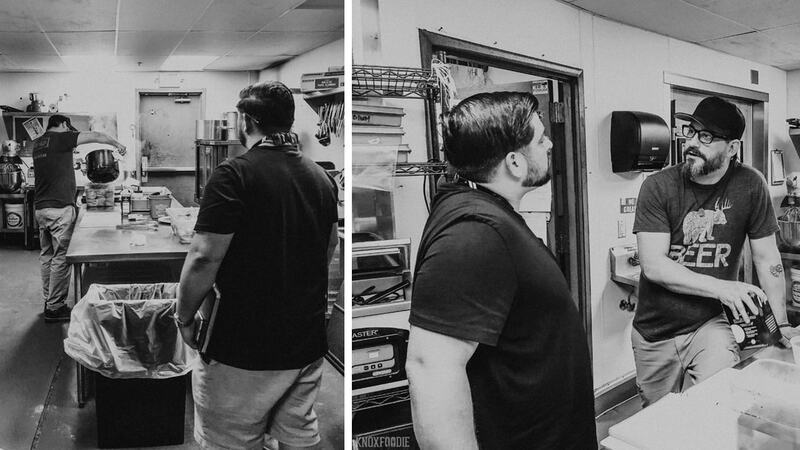 This flexibility helps restaurants manage their limited space and also provides the opportunity for Blake to introduce new products to other restaurant industry people. Blake’s family heritage in the business is important to him as they fought through the ups and downs of business and economy to emerge as the go-to source for area chefs who are looking for local or unusual items to make their dishes please hungry patrons. 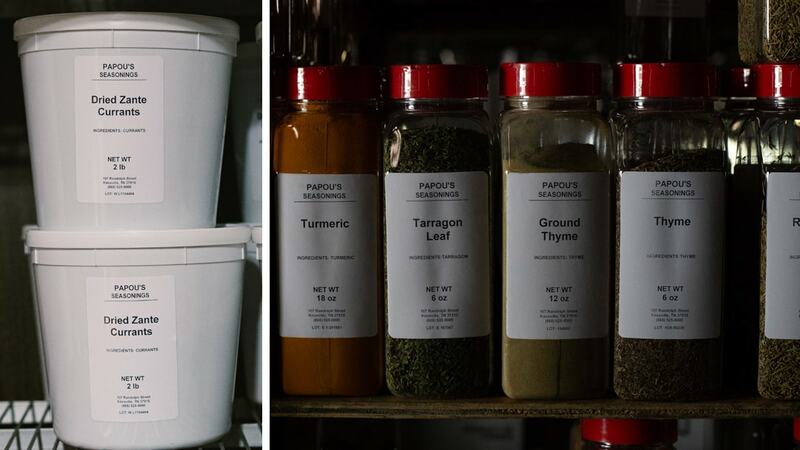 To honor that tradition, Blake has created private label products like bulk spices and other products under the Papou’s brand. Papou is Greek for “grandfather” honoring Blake’s family heritage. Chef Holly Hambright, upon the return to her hometown 18 years ago after traveling the world cooking for in world-class kitchens, was looking for a source that could provide the exceptional gourmet ingredients she had become accustomed to in larger cities. A&B she tells us was the only company importing such items in Knoxville and that began her ongoing relationship with A&B. 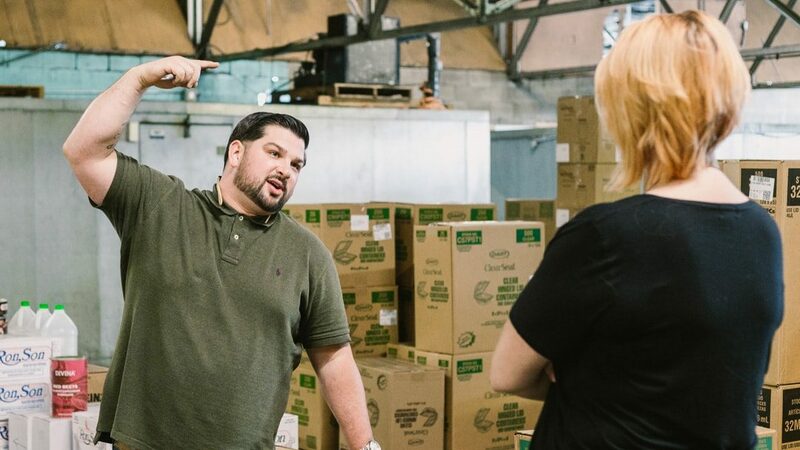 A&B not only distributes in Knoxville, but also runs a truck twice weekly (and sometimes more) to Nashville as well as servicing Chattanooga and Johnson City and it’s emerging food scene. We were at the warehouse near the end of their big distribution day. The warehouse was stuffed full earlier in the day and by the time we arrived, almost everything was out the door or staged for the next day’s deliveries. Restaurants looking for additional produce offerings can also now utilize A&B as they recently added produce to their offerings. So the next time you’re looking for products for an event, whether it’s for your family or your business, give A&B a call. We’re willing to bet they can help you out! 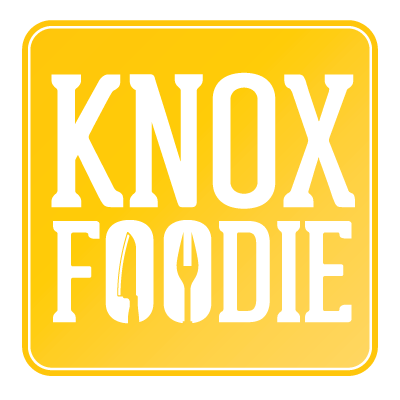 We’re happy to have them involved with the continued evolution of KnoxFoodie! A&B Distributors is located at 107 Randolph Street and their number is 865-525-9000. Follow them on Facebook and Instagram too!